What is faith…….really? | Smile, God Loves You! 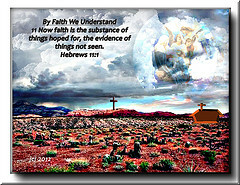 Most Christians know the scripture at Hebrews 11:1 that says “faith is the substance of things hoped for”. We know it’s the energy or the confidence to believe God for something… but what is faith really? Jesus talks a lot about faith and He tells us what we can accomplish with it and the fact that faith is what Christianity is all about. We realize that we need to get the scriptures down into our heart to be able to believe them, and so we study them to learn about faith. We write them out and quote them over and over so that they come to our thoughts constantly and we feel great because we have learned this. And this is good because we’re told to “study” the Word. But how do we know when it’s time to step out and use our faith? How do we know if we really believe what we’ve learned or if we just have a really good memory? When does this study of faith actually become real to us so we can act on it? There are some analogies that most of us can relate to and that will give us a better understanding of what faith is, where our faith is – and whether or need we need to work on it some more. When we board an elevator, most of us just wait for it to reach our designated floor. We look around and notice that the guy beside us has no idea how to match his tie with his shirt, and the woman ahead of her missed combing the back of her hair. We watch people get on and off without any hesitation, get a heart flutter when Mr. Handsome boards, and then eventually we get off. We had no worries or issues with the elevator. We didn’t fret that it might crash down or that we might get stuck in it with a bunch of people who all look somewhat suspicious. 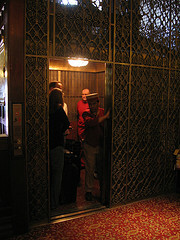 We had complete confidence and faith in the performance of the elevator. We didn’t have to quote positive sayings or pray out loud or have a panic attack while hoping that we got to our floor in one piece. We had “faith” in the elevator and in its performance without any doubts at all. We didn’t hesitate to use its service or question its abilities. Why? Because we had faith in the elevator. When we went out for supper at our favorite restaurant, we sat down and ordered our meal and never worried that the food might contain some kind of contaminant, or that there might be bugs in the kitchen or that the chefs who prepared it were sick and had sneezed all over the food. We went there because we had complete confidence in its ability to prepare the meal that we expected, and we ate the food and enjoyed it without worry. We never questioned the quality or the performance of the food because we had complete confidence that what we were eating was good. Why? Because we had faith in the restaurant. When we were paying for our groceries, after the shock of it costing more than we’d expected, we opened our wallet and handed the cashier the money without even thinking that our bills might be counterfeit, or that they were worthless. 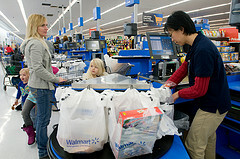 She told us how much we owed and we gave her the money with complete confidence and knew that the groceries were ours. Why? Because we had faith in the money. 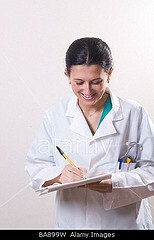 When we get sick, we visit our medical doctor and trust that he knows what he’s talking about and we accept the prescription he gives us and we take the medication obediently. We don’t question what’s in the stuff we’re taking or that we might have a reaction to it. We just take it and wait for it to do its thing, and as we begin to feel better we give God thanks for our health. Why? Because we have faith in our doctor. But what if we didn’t go to the doctor and instead decided to stand on the scripture in Isaiah 53:5, “By His stripes I am healed”, and then ate only healthy, detoxifying foods to clean our body and rid it of the germs? Could we do that? Do we have faith? Could we believe that God DID heal us and that by flushing out the germs our body would line up to the healing? If we hesitate or if we do it and worry the whole time that it’s not working – then this is NOT faith because we don’t believe it or trust it. If we had faith – even as much as a tiny grain of mustard seed – we could envision the scripture and see Christ on the cross, and we would know beyond a shadow of a doubt that we really do believe it – that we really do have the faith to receive the healing. If we attempt to be healed through quoting scriptures while we continue to suffer and yet quietly wonder about it or question it – or doubt it – then we have to realize that we do NOT have enough faith at this point. If we’re nervous at all about it then we do NOT have the faith. We may have the understanding that faith works and that faith IS the answer, but we have not yet got to that point. So what do we do? We study, pray, worship and thank God for His Son and for giving us His Word so that we can know Him. As our knowledge and our understanding of Jesus grows, so does our relationship with Him – and so does our love for Him AND SO DOES OUR FAITH IN HIM. Our eyes will be opened and our hearts will be renewed and the faith that we strive for will grow until we CAN stand on the scriptures and trust God totally to do the things He has promised us. ***I wrote a book called, Let Faith Arise! 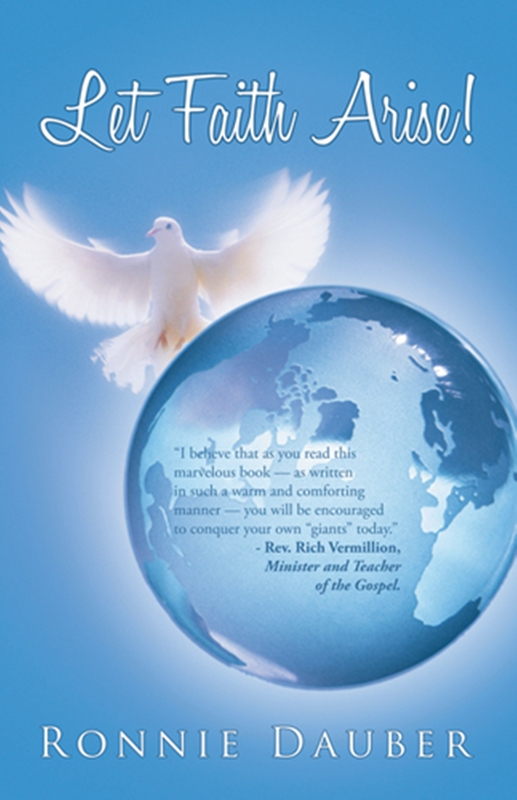 and it’s a devotional book filled with messages on faith that were inspired by God. I wrote these during my battle with cancer last year, and through prayer and praise and with a hunger for the faith to believe God for my healing, my faith grew and I was healed. I wrote this book to help others understand what faith is, how to get it and how to apply it to their lives. Please check out my website to see how you can get a copy of Let Faith Arise! Available at Amazon.com and West Bow Press, and for the next week I am giving FREE e-book copies at Smashwords. ← Can We Earn God’s Forgiveness? A very well written word about faith. Mine has changed over the years and seems to be evolving (not in the ape to man sense). 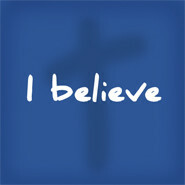 I believe in Jesus and the God of the Bible. One day I know we will be with Him. I believe in the truth and accuracy of the Bible. I pity those who claim atheism as their belief system and also those who pray to a non-existent or false god. Miracles, wonders and supernatural healing are something which I hope exist. I do not however trust the words of would be prophets, clergy or well-meaning laypersons who claim to know when God is going to heal or do a miracle. It does not seem as though they are as common as some would indicate. We need to continue to believe and trust in God, know that He is all powerful and loves us but I think we need to take what mortals say with a grain of salt. Faith is something to have in God but people cannot live up to that same standard. Thanks for your comments, Jeff. I totally agree with you. Faith is something that we develop between us and God, and no other person can be in the way of this relationship. People can guide us, inspire us, and be witnesses of God’s healing for us – as I hope that I am being for others – but when we rely on people to get us there, we negate our Lord and we’ll miss out on the blessings He has for us. No human can possibly live up to God’s standard. Our faith must be in Him, and in Him alone. God bless you, Jeff. You’re a man of wisdom and love, and someone who I believe represents our Lord.